Originally published on Virgin.com by Clare Kelly. 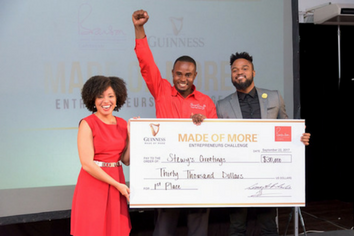 The Branson Centre of Entrepreneurship – Caribbean and the Arthur Guinness Project recently partnered to host the annual Made of More Entrepreneurs Challenge (MoMEC). “The Branson Centre of Entrepreneurship is on a mission to support and nurture entrepreneurs who will create opportunities for investments leading to growth and development in the Caribbean economy. One of the ways we’re able to fulfil that mission is by giving entrepreneurs access to low-interest financing through our Made of More Entrepreneurs Challenge, which we launched three years ago. Our past participants have used the funding to expand their operations and increase revenues,” said Lisandra Rickards, Chief Entrepreneurship Officer at the Branson Centre of Entrepreneurship – Caribbean.